Click on the logos below to be directed to Our Supporters websites. ACS is a leading provider of IT, Cloud, and Office Furniture solutions to both the corporate and public sectors. Established in Northampton in 1995, ACS has more than 21 years of experience providing tailored solutions that help businesses increase efficiencies, boost productivity, and ultimately, grow. The heart of business news for Northamptonshire, in print, digital and social media. Established in the UK in 1979, Autosmart is the trade’s favourite supplier of vehicle cleaning products in many territories around the world. Avery has a notable reputation across the country and offers some of the finest care homes. Northamptonshire is home to Avery Healthcare’s headquarters and also offers a cluster of six care homes offering the full range of care. Spencer House and Cliftonville are in Northampton itself, Ashurst Mews a little further out in the village of Moulton. Glenmoor House and Seagrave House are both in Corby and Dukes Court is a private care home on the outskirts of Wellingborough. Please contact them to arrange a private visit. Bowdraper is a leading contract cleaning company, providing professional cleaning services across the Midlands from their base in Leamington Spa. They can provide cleaning services tailored to suit you; including any size office cleaning, high level window cleaning, school and college cleaning and even organising your wash room supplies. Britvic Soft Drinks is one of the two leading branded soft drinks businesses in the UK, with great brands like Robinsons, J2O, Tango and Fruit Shoot, as well as making and distributing global brands including Pepsi and 7UP on behalf of PepsiCo. Carlsberg UK is a wholly owned subsidiary of the Carlsberg Group and is the UK’s fourth largest brewer. Backed by more than 150 years of Danish heritage, Carlsberg is a household name in the UK, widely known for its innovative advertising, famous strapline and sponsorship of football from grass roots level to the international stage. Established in 1906, Cave & Sons is an independent, Northampton based company offering a comprehensive range of investment management, stockbroking and financial planning services. David Williams IFA was established over 40 years ago to provide private and corporate clients with a comprehensive financial planning and wealth management service. They are one of an elite group of firms in the UK which carry the Chartered accreditation which is considered to be the ‘gold standard’ for competency and integrity within the financial services industry. DBfB Communications are at the frontline of communications supply and management, and have been trading since 1998. They enable business customers to use mobile communications efficiently with high end IT connectivity and landline solutions – alongside straightforward, bespoke invoicing. 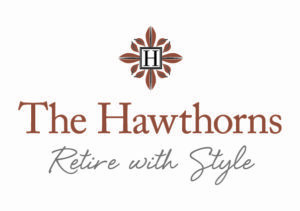 The Hawthorns offers residents independence, choice and the very best in luxury retirement living. If you are looking for an opportunity to make the most of your retirement and live life to the full, then one of our fully-serviced rental apartments could be just what you are looking for. Please contact us to arrange a visit. The destination for quality dining and stylish overnight accommodation just a hop from Northampton’s town centre. 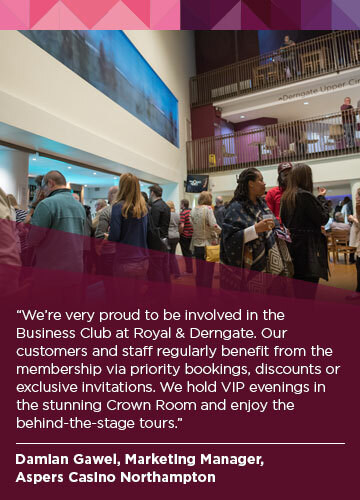 Ideal for theatre go-ers, regular business guests and visitors to Northamptonshire. Kings Secure Technologies is one of the largest independent security technology businesses in the UK, having been established for over 50 years. With offices in West Yorkshire, Scotland and London, innovation is at the heart of everything we do. MHA MacIntyre Hudson is a top 20 UK firm of chartered accountants in Northampton, offering a full range of compliance services and business advice to owner-managed businesses, multinationals and high net worth individuals in the Northampton and Northamptonshire area. Have a Mooch around our on line shop.e have a gorgeous gift shop on St Giles Street in Northampton and our website has just a tiny selection of what we have available in-store. Browse our shop for the perfect gift – f We have a gorgeous gift shop on St Giles Street in Northampton and our website has just a tiny selection of what we have available in-store. Browse our shop for the perfect gift – from gorgeous handmade candles to fabulous industrial style furniture – we have something for everyone. Northampton Town Football Club play in Sky Bet League 1 at Sixfields Stadium. Managed by one of the greatest goalscorers in the Premier League era, Jimmy Floyd Hasselbaink, as well as being a professional football club, the Cobblers play a huge role in the community of Northampton. The club also offer fantastic promotional opportunities for businesses local, national and international. The club regularly draws praise from partners, clients and supporters alike for our matchday hospitality offering, while they also offer a variety of packages for non-matchday commercial and client entertainment. With over 600 free car parking spaces and easy access, Sixfields is an ideal venue for all sorts of business and social events. Please visit ntfc.co.uk for more details! Since its foundation in 1936, the Ricoh Group has consistently endeavored to develop and provide innovation-driven products and services mainly in offering printing and document management solutions to an increasing number of customers. Shoosmiths LLP is a major national law firm with a network of offices collaborating together as a national team. In 2015 it was awarded UK Law Firm of the year at the British Legal Awards. Its Northampton office hosts over 500 partners and staff. As well as offering a full range of commercial services for business, it also prides itself in its national private client practice providing services in conveyancing, wealth management, family, personal injury and clinical negligence services. STAR Digital is a commercially focused digital agency based in Northamptonshire. Founded in 2006, STAR Digital have grown with the digital industry, developing, polishing and learning new skills to keep on top of their game and provide consistent brilliance to their clients. Established in 1976 by Steffan Suter, Steffans is a family run business with stores located in Northampton and Market Harborough. Today the company also has a multi-award winning Jewellery Website, which has been awarded Best UK Jewellery Etailer of the Year for 2011 and 2012. Your one stop shop for Design, Print & Signage Solutions. If you can imagine it they can print it! Specialists in making things which seem impossible or cost prohibitive a reality. The UK’s leading industrial foam convertor, specialising in the full range of foam and rubber materials into numerous markets including automotive, medical, white goods and aerospace. Our engineering skills, vast knowledge of foams and customer friendly approach, allow us to be recognised as the market leader. Tollers have been providing legal services across Northamptonshire for over 140 years and now have 8 offices and a geographic footprint throughout the South and East Midlands. We are a ‘full service’ firm offering our clients a wide variety of legal services both ‘For You’ and ‘For Business’, covering everything from Family law, Buying and Selling a Home, Wills, Trusts and Estates through to Corporate and Commercial Law, Employment Law, Insolvency and Corporate Recovery and much more. Genuine client focus and high quality legal advice are at the heart of everything we do. Tom Hewer Catering was born from an award winning pub and restaurant group, who are also a preferred catering supplier throughout the UK for some of the most prestigious sporting and music events as well as our own John Franklins Bar and Hibiscus restaurant. Our business insurance aims to protect you, your staff, your premises and your equipment. We understand that your business is your passion, as well as your livelihood, so our policies are designed to fit your precise needs. Virtual Sales Team was founded in February 2007, an award-winning telemarketing and lead generation company based in Northamptonshire. They form partnerships with their clients, providing a sales support service to become an extension of your sales and marketing teams. Working with you, they have one goal in mind – to deliver a pipeline of prospects that have a genuine interest in your products or services. Weston Favell is a true local community shopping centre. The centre is anchored by Tesco Extra, which in terms of its size is one of the top 10 Tesco Extra format stores in the UK. The shopping centre also has a great selection of multinational retailers, including Wilko, Boots, New Look, WH Smith and Costa Coffee, as well as a unique selection of independent retailers. There really is something for everyone in the family. You can shop, entertain the children at the Favell Fun Club and park for free for up to 4 hours.